This cottage is located in the village of Lanivet near Bodmin and can sleep four people in two bedrooms. Cedar Lodge is a beautiful cottage situated in the village of Lanivet in Cornwall. Hosting two bedrooms; a king-size double with en-suite, a twin (zip/link), and a bathroom, this property can sleep up to four people. Inside you will also find an open plan living area with kitchen, dining area and sitting area with electric log-effect fire. To the outside is off road parking for two cars, and a garden with verandah, patio, furniture and barbecue. 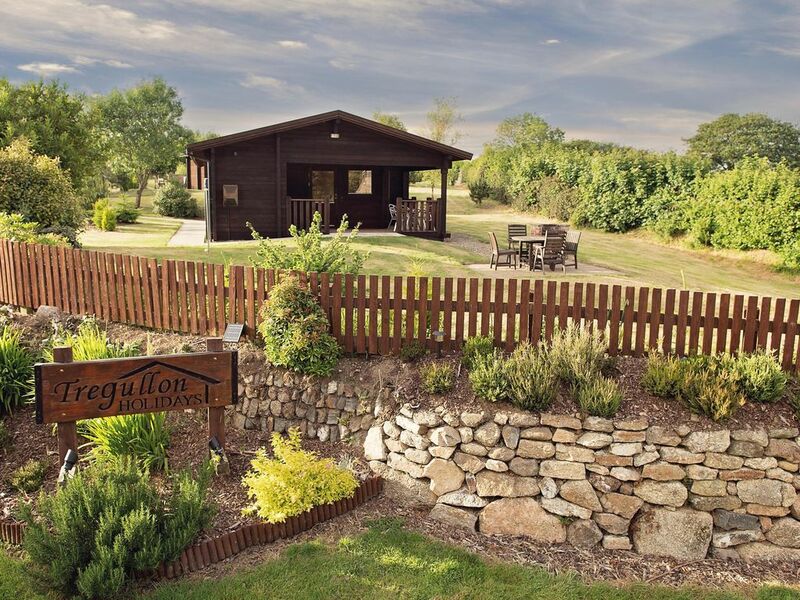 Located in a lovely setting with much to explore, Cedar Lodge is a wonderful cottage in a relaxing part of England. Amenities: Electric heating with electric fire. Electric cooker, microwave, fridge/freezer, washing machine, tumble dryer, dishwasher, TV with Freeview, DVD, WiFi, selection of books, games and DVDs. Fuel and power inc. in rent. Bed linen and towels inc. in rent, please bring own beach towels. Travel cot and highchair. Off road parking for 2 cars. Garden with veranda, patio, furniture and BBQ. Sorry, no pets and no smoking. Shop and pub 2 miles. Town: Lanivet is a small village close to Bodmin and Wadebridge. The village has a selection of picturesque properties, a pub and a few shops. Bodmin has a shopping centre and local attractions include the Bodmin and Wenford Railway, the Camel cycle trail, and Bodmin Jail with its courtroom experience. Also close by are Bodmin Moor, the National Trusts Lanhydrock House and the stunning Eden Project. All ground floor. Two bedrooms: 1 x king-size double with en-suite shower, WC and basin, 1 x twin (zip/link, can be super king-size double on request). Bathroom with bath, shower over, basin and WC. Open plan living area with kitchen, dining area and sitting area with electric log-effect fire. Electric heating with electric fire. Electric cooker, microwave, fridge/freezer, washing machine, tumble dryer, dishwasher, TV with Freeview, DVD, WiFi, selection of books, games and DVDs. Fuel and power inc. in rent. Bed linen and towels inc. in rent, please bring own beach towels. Travel cot and highchair. Off road parking for 2 cars. Garden with veranda, patio, furniture and BBQ. Sorry, no pets and no smoking. Shop and pub 2 miles.